After a busy, busy week being up at the crack of dawn, sorting the little sproglets out, scraping into work for 8am for the last 5 days, I am sooooo ready for this weekend. Fridays are the absolute best, for me its starts off with the supermarket dash, now this isn’t good by any stretch of the imagination, however, it is an uninterrupted rug-rat free hour, however, by the time I get home I can pop open a bottle of prosecco and imagine the shopping putting itself away. Then as if by magic my two little helpers come in and put in it away for me, they are so well trained :-). Then the rest of my Friday is spent doing laundry, hoovering and cleaning, not your idea of fun I hear you scream, but try doing it with a bottle of prossecco in your hand!! Once all the weekly chores are out of the window, I sink into my luscious sofa and have some R&R, with the satisfied feeling of having completed everyone’s, washing ironing, cleaning etc, now I can really enjoy the weekend with no chores hanging over me and cuddle up and watch a DVD with the kiddies. Mr Bluebell sent me his daily 6am text announcing that he was taking me out for some dinner and bubbles tomorrow evening, so to pick a place and lets eat…………awwwwwww the romance is very much alive and kicking. So that led me onto thinking of a suitable venue, did I want posh ‘n’ poseur, comfortable ‘n’ cosy or somewhere in between? 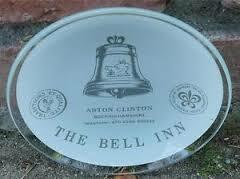 I plumped for our all time favourite, The Bell in Aston Clinton. I love this place, the food is great, the barman is hilarious and recognises us, which is a nice touch, although we do practically pay his wages and the surroundings are fabulous. We always sit in the Snug, with its comfy sofas and open fire, its delightful. The Bell is a fabulous location to have a romantic meal, meet up with friends, office parties, take the kids out, or a cheeky night away, they have 11 rooms many of which are family rooms. Outside is a walled garden, which would look amazing with a marquee canopy over it in the colder months. Back inside there is a bar area within a bar area within a bar area, where you can also eat – you’ll have to visit to see what I mean! There are two separate dining rooms and then the aforementioned snug. With its creaky oak flooring and beautiful ceiling beams its a wonderful combination of historical building and modern day living, in their words blending rural charm with modern flair. Love it! The menu is extensive, with suggestions of good wines, and cask conditioned ales or even if you fancy a cocktail you can. The Bell has a carefully selected lunch & dinner menu with a separate Sunday menu and children’s menus. You can opt for something quite fussy or your standard fish and chips. However because Mr B and I seem to talk incessantly to each other when we go there, (think its the uninterrupted, sproglet free time), we try to fit in a whole week of conversations, so we always go for the nibbles, they are seriously to die for. They do snack size shepherds pie croquettes, onion bhajis, lamb kebabs, deep fried cheese, all mouthwateringly good and sat in front of an open fire with a bottle Malbec is the perfect Saturday night for us. I have only one criticism, the waitress service is a little slow, even when its not that busy, however, the food is always well worth waiting for, so I put this down to being in the countryside, relax, crack open another bottle of Malbec and welcome the food when it arrives, no one needs to hurtle around at a weekend. Just don’t go there if you’re in a rush! We frequent this establishment with some regularity and the time we have sat down in the dining room for dinner was also great, the kiddies came with us, Mr B had the Surf & Turf (28 day aged rib eye steak, chunky chips and lobster tail), I went for the ale battered cod, chunky chips and the homemade mint pea puree and the kids had the children’s menu, which mimic’s the adult dinner menu and we all thoroughly enjoyed it, proper food, lovely atmosphere. A glorious spot for a variety of occasions and we will continue to visit for many years to come. Think we’ll try the Sunday lunch soon! ← Spring in the air or is that the smell of coffee?